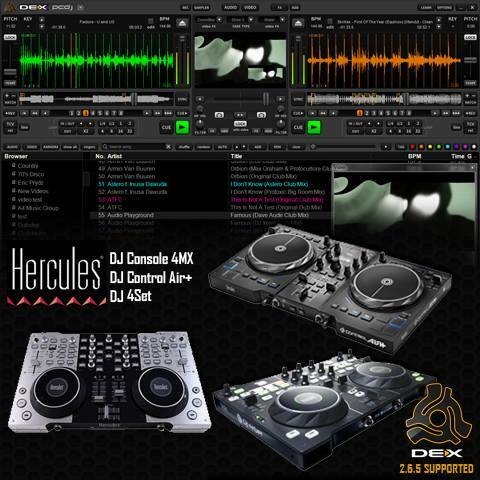 Most DJ software with a recording function let the Deejay record in Wav format. Some of you wonder how to convert the .wav file into MP3 format to share your creation. Here is a process to do it in Windows with iTunes 11.2. 4) In the General Preferences, go to “Import Settings…”. 6) In the Import Settings, click on the Setting field to set for the MP3 compression rate. 7) If you select the “Custom” setting, you can select the compression rate you wish. Click on OK to close. 8) You can check your compression settings in the field “Details”. iTunes is now set to convert files into the MP3 format you have selected. 9) If the file you want to convert is not in iTunes library, add this file in iTunes library. Import your .wav file in iTunes. Click on the rectangle icon in iTunes upper-left corner, and choose “Add File to Library…”. Browse to your .wav file, select it and click on Open. 10) Once the audio file is in iTunes libray, right click on it in iTunes and select “Create MP3 Version”. 11) iTunes converts it into MP3 format. The iTunes Summary window shows the location of the MP3 file. 13) To check the default location of the MP3 files you create in iTunes, click on the rectangle icon in iTunes upper-left corner, go to Preferences, and go to the Advanced Preferences tab. You see iTunes Media folder location, and you can change it if needed. - the other is the .mp3 file.